There's nothing quite like the first bite of a warm, freshly baked homemade cookie — hmm...could it be time to fill up the cookie jar?!! 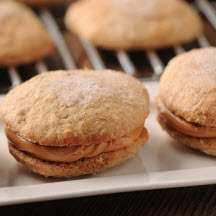 Your kids will love these yummy banana sandwich cookies filled with peanut butter. 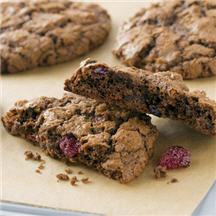 This cookie recipe brings two great tastes together—bits of sweet black cherries are surrounded by a chewy chocolate cookie. 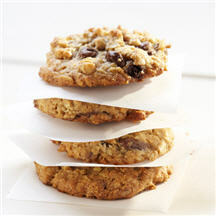 Chocolate-covered raisins give these oatmeal cookies the deluxe touch. Your cookie jar won't stay full for long.